Happy Halloween, dear readers! I had a difficult time deciding on my Halloween nails- something spooky? Cute? Glow in the dark? Traditional? 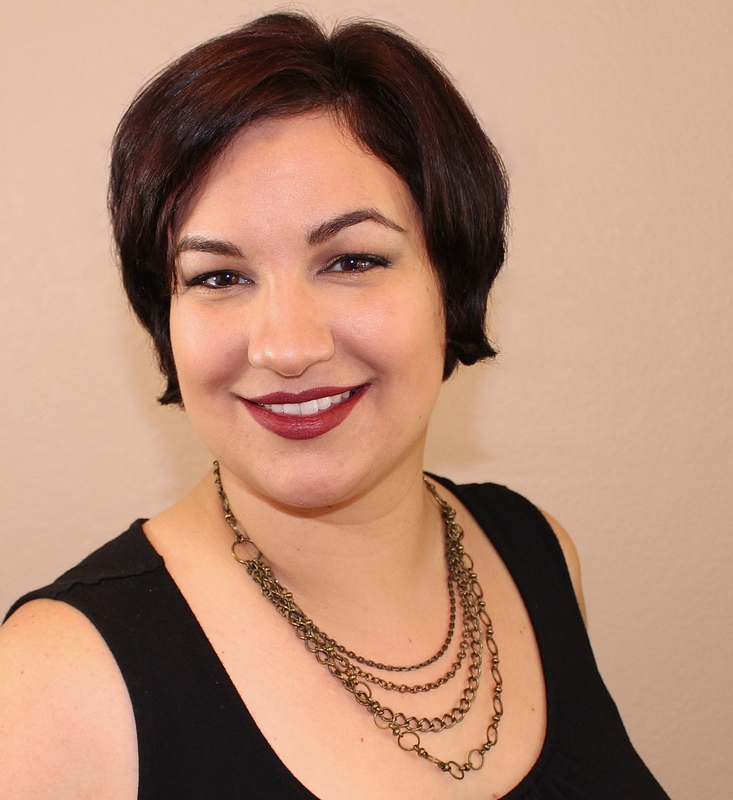 Grotesque? Seriously, how do you decide these things for a holiday like Halloween?!? 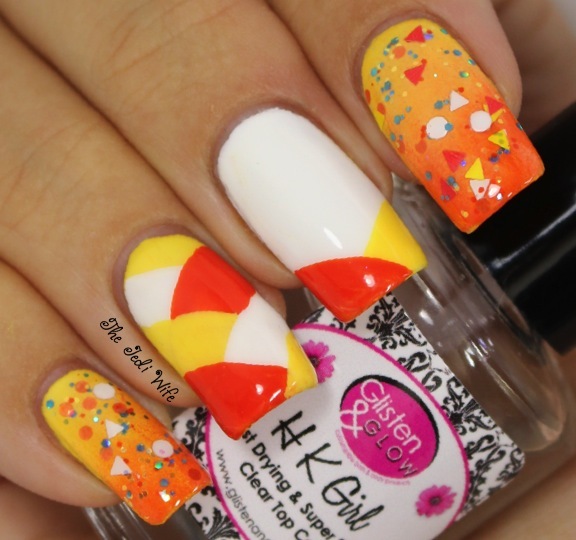 In the end, I decided to go with nails inspired by candy corn. I knew it was going to be a rainy and grey day here, so I wanted something bright and cheerful. My base polish colours are Zoya Purity, OPI I Just Can't Cope-acabana, and OPI A Roll in the Hague. 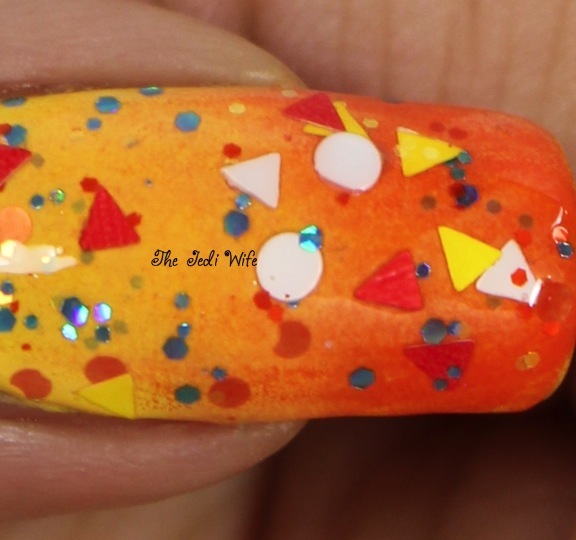 The glitter topper is a candy corn-inspired custom shade made by DIFFERENT dimension. I then topped my nails off with HK Girl topcoat from Glisten & Glow. Oooo!! 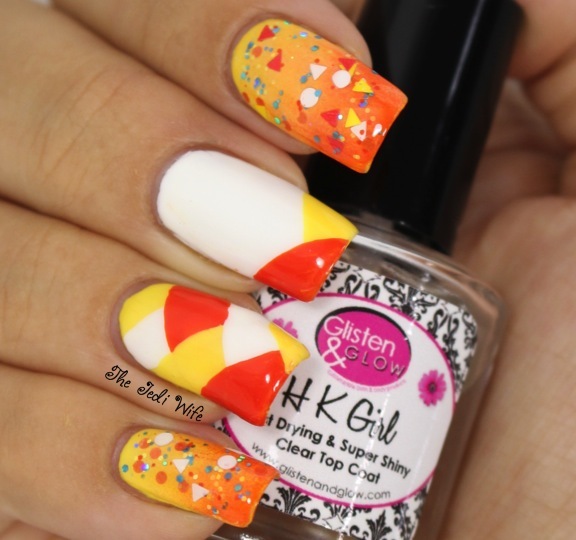 Love that braided art nail! I've never been able to master that technique!